1. Wash the beans in water. 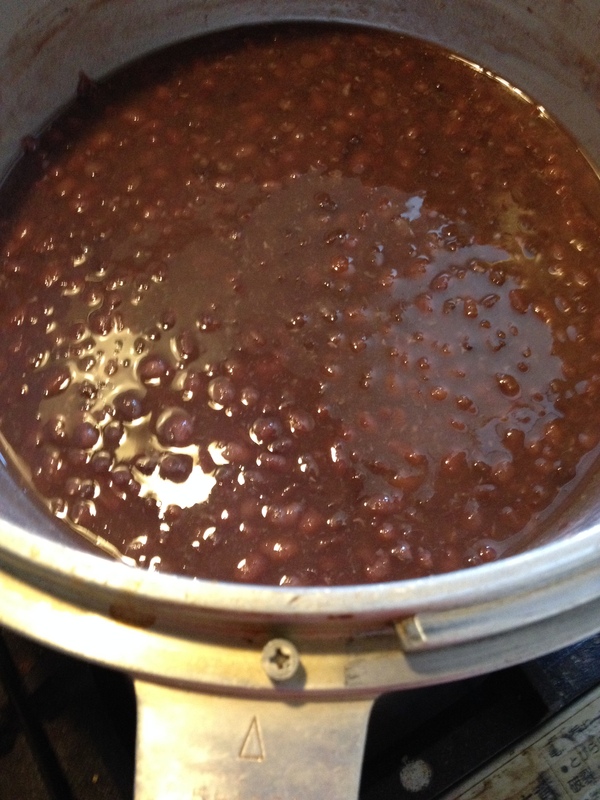 Place them in a pressure cooker together with water (Not in the recipe) equal to three times the volume of beans. Set the pot aside for 1 hour. 2. Place the pot on high heat. Do not cover the pot. Bring the pot to a boil and then drain the beans in a sieve. 3. Return the beans to the pot, add 500ml of water, cover, and place the pot on high heat. Once the pot starts to vent steam, reduce to low heat for 6 minutes, then turn the heat off. 4. Once the pressure has fallen enough that you can safely remove the lid, take the lid off, add the sugar and salt, and stir for 15 minutes over low heat.